Trent Nelson | The Salt Lake Tribune Winston Blackmore arrives at court in Cranbrook, B.C., Tuesday April 18, 2017. Blackmore and co-defendant James Oler are the first fundamentalist Mormons to be tried for polygamy in Canada. 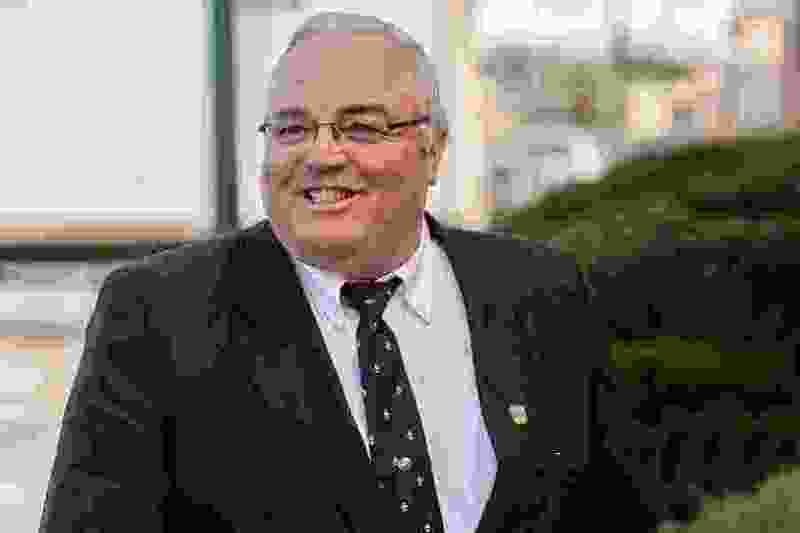 CALGARY, Alberta (AP) — A Canadian man who was recently convicted of polygamy is selling property he owns in British Columbia, Canada, to repay creditors. The Calgary Herald newspaper in Canada reports that Winston Blackmore will auction off two different sets of large properties located near the small community of Bountiful in southeastern British Columbia. One is listed at $536,000 and the other at $280,000. They are part of companies owned by Blackmore. Court bailiff Michael Sandstorm of the company auctioning the properties says the new owner will get the land and any buildings on them. He says some people are still living on the properties. It's unknown what will happen to them. The 62-year-old Blackmore was found guilty last year of having 24 wives and sentenced to six months house arrest and one year probation.